As usual Kuchai Lama would be the nearest place to suggest for dinner as there are quite a number of eateries in this area. So, what's for dinner? Hhhmm...how about Taiwanese food? A satisfying plate of appetizer. 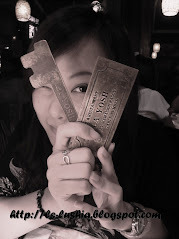 This is different from the Shih Lin Taiwanese Street Snacks or those that we can find in night markets. The fried salty chicken are actually fried chicken chunks. 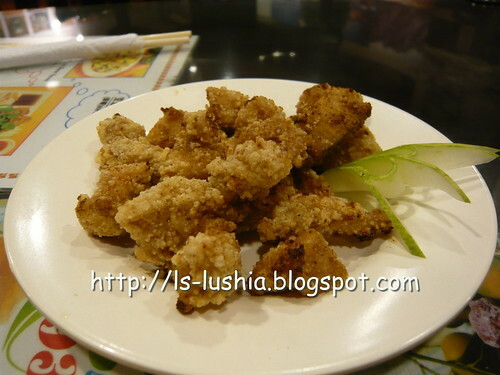 It tasted much better-well marinated, fried till crispy and then dashed with salt and pepper. Pleasing enough! Another pleasing appetizer, but a colourful one. 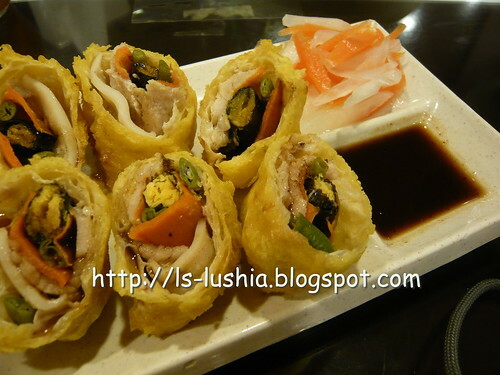 Crispy bean curd skin wrapped with squids, seaweeds, carrots, french bean, pork and egg yolk. The taste of egg yolk elaborated the dish. Nothing special! 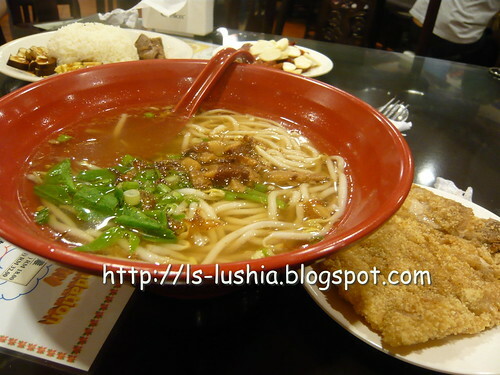 Clear noodle soup topped with a little portion of braised pork and served with deep fried pork chop. 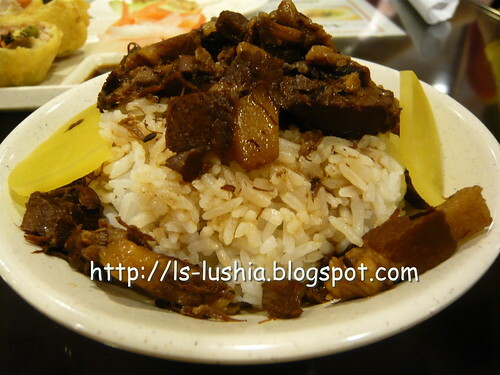 Small bowl of plain rice with savory braised pork. 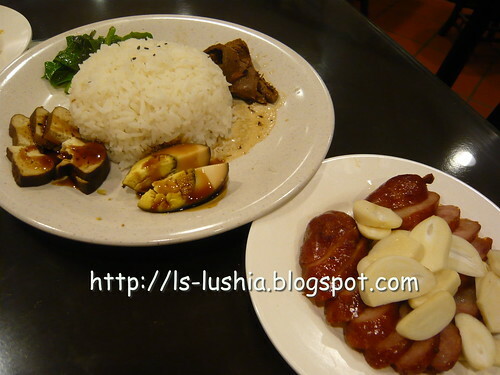 I have seen many diners ordering the braise pork rice. So we ordered one too. 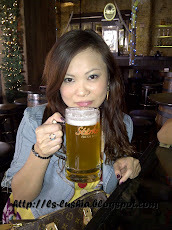 Taste wise- great! But then again, more gravy would be better! Nothing special either. 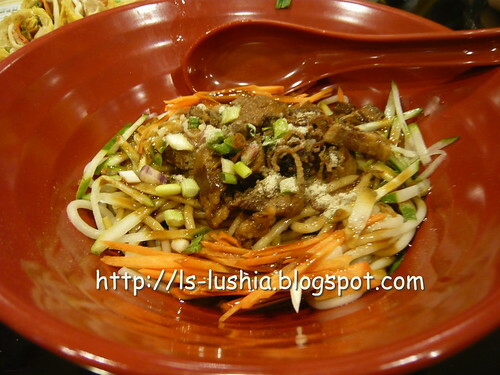 The portion of the noodles is almost same with the portion of the shreded cucumber and carrot. Taste better with chilli paste. 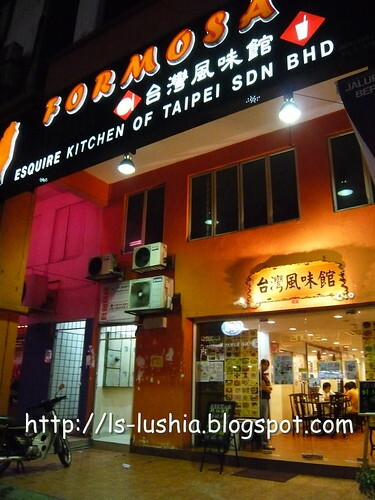 There are several other specialities served by Formosa Esquire Kitchen of Taipei that I have not tried. This is the collection after a few visit. 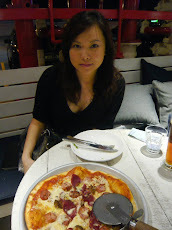 Not very impressing but it's a place good enough for a simple dinner.